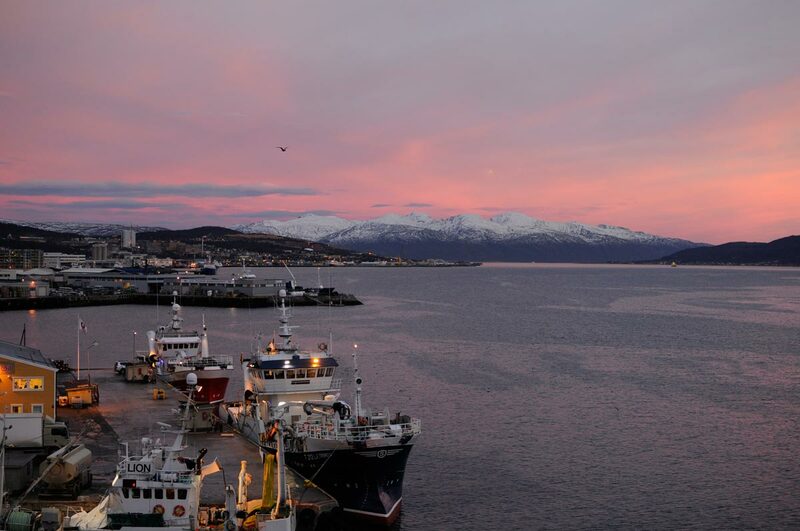 If you thought that winter in Arctic Norway was all doom and gloom, think again! There may be no sun at all for many weeks up beyond the Polar Circle, but the night shines instead with much more than just one light. It is pretty safe to say that the huge majority of the world population has never experienced the glorious beauty of the Arctic Polar Night, or as it is called in Norway, Mørketid. Indeed, while the length of the days and nights varies throughout the year for everyone but those living on the Equator, even during the darkest heart of winter, the Sun still rises each and every day…except in the Arctic! What happens up in the Polar region can be very easily explained by some basic science: Because the Earth revolves around the sun on a tilted axis, the regions situated around the poles stay out of the sun’s reach for some time. The farther North one goes, the longer this period of Polar Night lasts. 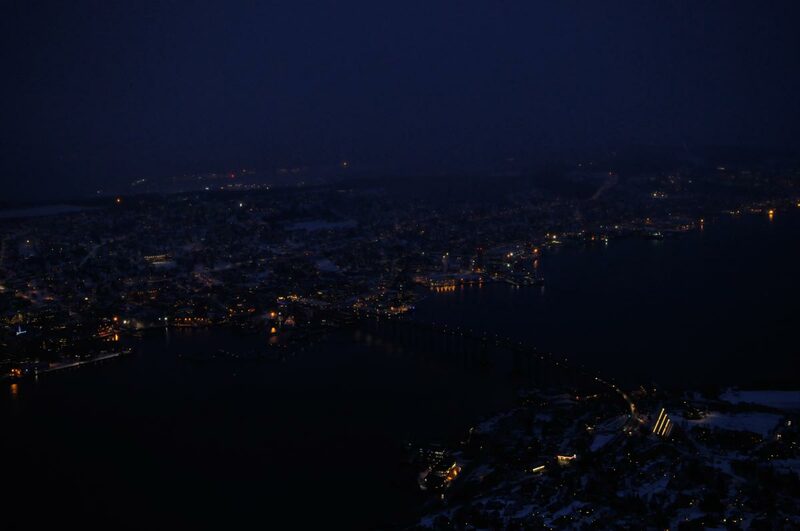 In Tromsø, the main urban center of North-Norway, situated 69 degrees latitude North, the sun does not rise from the 21st of November until the 21st of January, For Tromsøites, the sun is absent from the heavens for two whole months. Likewise, in the summer, the sun does not leave the sky for a comparable period of time. In Norway the Polar circle cuts right through the County of Nordland at 66, 33 degrees North, near the famous Saltefjell mountain; That means that most of the North-Norwegian urban centers (I), all situated North from the circle, experience what is called there Mørketid. (‘Dark-Time’). 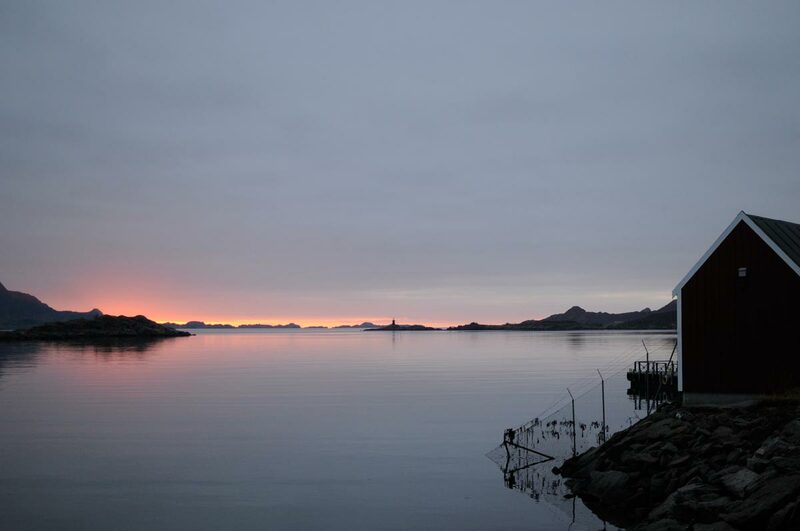 In the Lofoten Islands, the Mørketid lasts about a month, between the 7th of December until the 5th of January, while it lasts more than three and a half months in the Svalbard archipelago. So, while for several weeks the sun is completely absent in Arctic Norway it doesn’t mean that locals have to put up with round-the-clock pitch-black darkness. The idea that the sky is completely dark during the winter in the Arctic is a common misconception which has, however, no basis in reality. Indeed, while the sun may not touch the ground at all for a while, the simple refraction of the sun in the atmosphere means that a certain degree of twilight can be experienced most everywhere around the middle of the day. While the length of this lighter, almost day-like spell varies from place to place, in Tromsø, it lasts between about 11 to 14 during most of the winter and is obviously longer towards the beginning and the end of Mørketid. 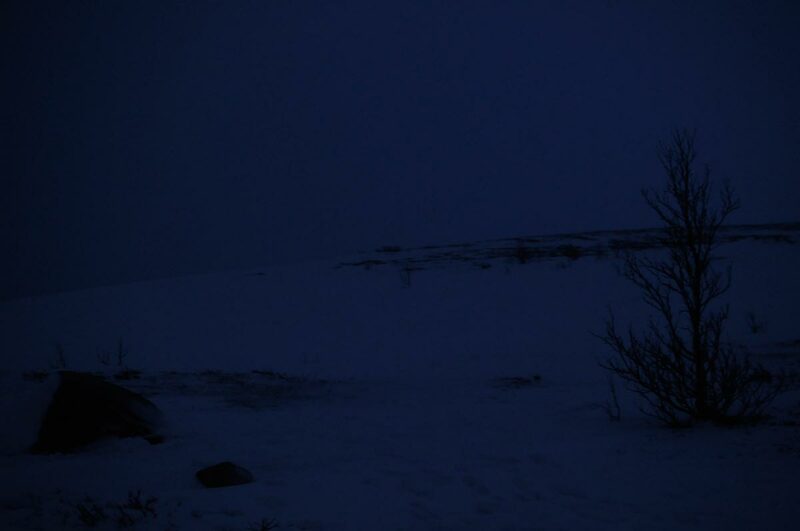 The inhabitants of the Northerly Svalbard, on the other hand, do experience complete round-the-clock darkness for several weeks around Midwinter. For most people in Arctic Norway, though, the winter, despite its lack of light is by no means synonymous with gloom and apathy. Quite the contrary, the locals are always glad to disprove the faulty popular belief that dark winters lead to cheerlessness (II)! During this dark period, people tend to gather to face the darkness together and have on the whole as much of, if not more of, a social life than in the summer. Cultural events organized everywhere also incite people to go out and enjoy the season. As this article is being written, the Tromsø International Film Festival (TIFF), the country’s biggest film festival is all the rage in Tromsø with tens of thousands of people attending (III). 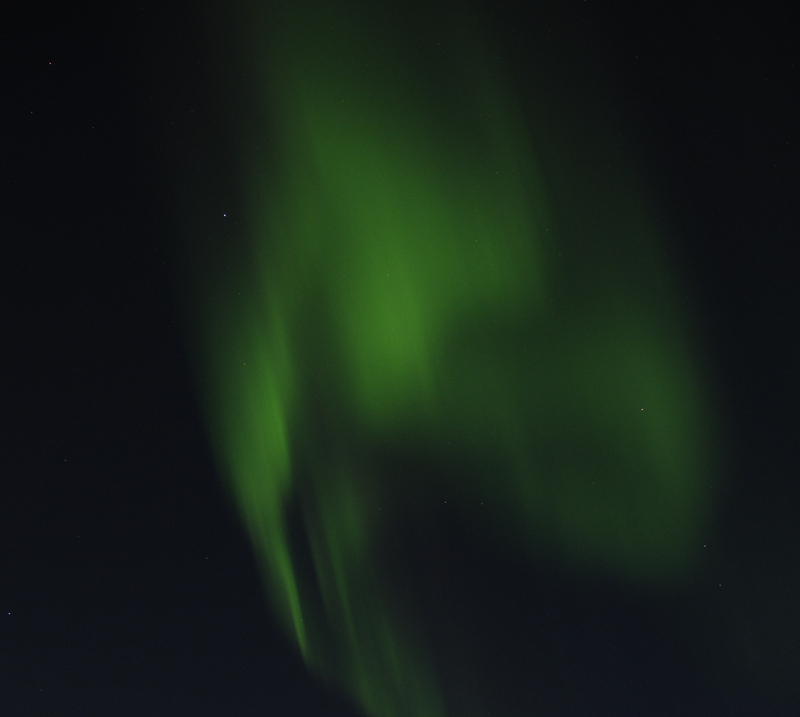 Winter is also the season for, among other things, skiing, ice-fishing and Northern-Lights watching. All in all, despite the drastic lack of lights and the cold Arctic winds spreading snow and ice on fjords and fells, the winter is maybe the most eventful period of the year. With its bursting cultural life, its beautiful frozen landscapes and the blazing Auroras crossing the skies, the Mørketid might simply be the most beautiful embodiment of what the Norwegian Arctic really is: a fragile land of beauty and bounty that will forever captivate the minds of southerners and northerners alike.